Select one of your heavy, front-engined bruisers – something that’ll withstand a bit of abuse – then commission a successful, world-renowned race team to breathe on it. You know: add power, beef up brakes, stiffen springs, lose carpets and rear seats, slap on stickers (Our favourite bit, ed). Next, take it out to play in the ultra-competitive world of touring-car racing at home and on the continent, picking up some silverware along the way – thereby proving that your products are as good as anyone else’s – and watch the punters flock into your showrooms to buy one of the road-going models. And that’s pretty much what the marketing chiefs of a trio of my favourite race-savvy manufacturers did in the 1980s, hanging their hats on that classic ‘win on Sunday, sell on Monday’ ethos that’s come to define a genre of motorsport that features lairy versions of the sort of kit in which fans arrive at the circuit. The three marques that got their high-speed advertising hoardings spot-on in the mid-’80s? Jaguar, Rover and Volvo. 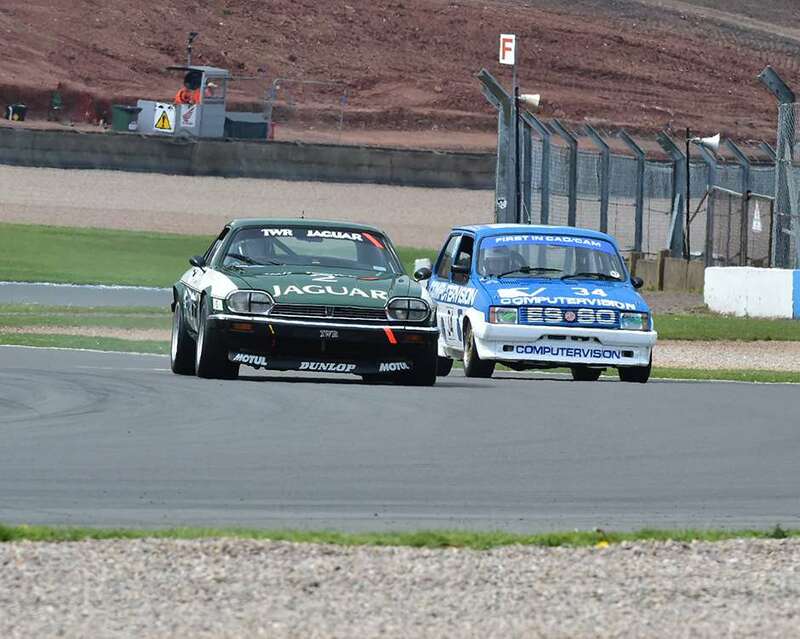 The XJS, SD1 and 240 Turbo won a lot of races. 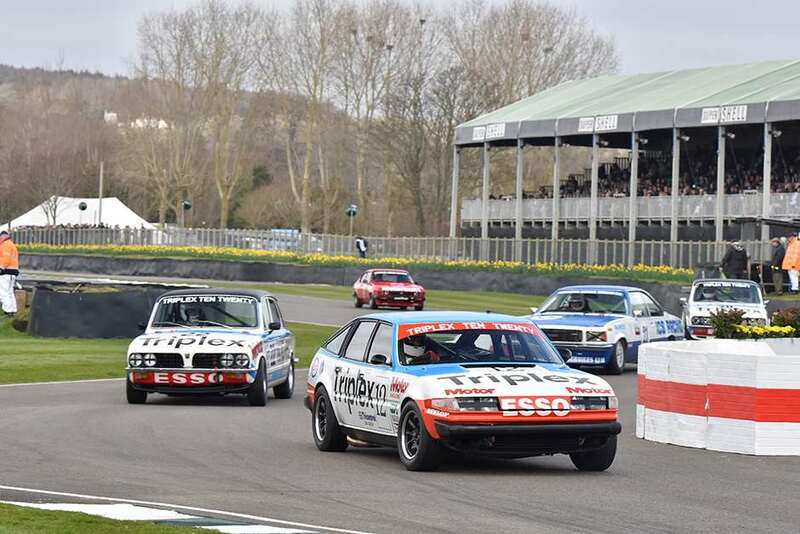 Come to this year’s Festival of Speed and you’ll see, among a sensational line-up of touring cars spanning many eras, the fruits of these classics’ paymasters’ labours 30-odd years ago. Jaguar’s XJS didn’t need quite as much sexing up as its rivals, thanks to its iconic badge, 5.3-litre V12 powerplant and the televisual exploits of Roger Moore as suave sleuth Simon Templar, but I only became a fan of the product after I’d seen it win races. Beefed up by Tom Walkinshaw Racing for action in the European Touring Car Championship (ETCC) in 1982, the British Racing Green cats took 16 wins in three seasons, against competition from BMW, and the boss, Walkinshaw himself, scooped the 1984 drivers’ title. The TWR/Jaguar tie-up was then put on hold, the British marque eyeing a return to sportscar racing and the Le Mans 24 Hours. It wouldn’t be long, of course, before the two firms romped to world championship sportscar glory and two Le Mans wins. The Rover SD1 flew the British Leyland flag in the British Touring Car Championship (BTCC) for much of the 1980s. Britons Jeff Allam and Peter Lovett, car-dealing racers who understood the value of their exploits, won races at the start of the decade, instantly allowing the 3.5-litre V8-powered Brit to exorcise its brown-trousered-middle-management tag. For 1983, when the Vitesse updates – stiffer suspension, fuel-injection and a rear wing – arrived on the racing versions, no-one else got a look in in the BTCC. Between them, Allam, Lovett and Steve Soper won all 11 rounds, with Soper also taking victory, alongside René Metge, in the legendary RAC Tourist Trophy at Silverstone – the car’s first victory in the ETCC. Rover was still top dog on the British scene in 1984, the SD1 winning nine of the 11 BTCC races and Andy Rouse lifting the title in his self-prepared machine, but for 1985 TWR took the SD1 under its wing after cleaning up with Jaguar the year before. Its Bastos cigarettes-liveried cars (surely among the best paintjobs of any tin-top?) won six races that year and five more in ’86, with Win Percy losing the title on a dropped-scores rule applied weeks after the season had ended. 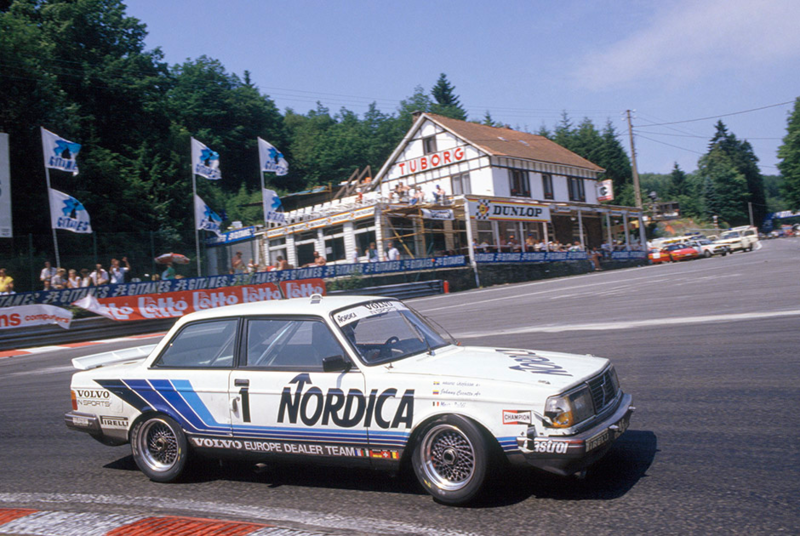 The car that gave the TWR Rovers the most bother in the ETCC in 1985/’86 was the Volvo 240 Turbo. If ever there was an example of motorsport curing an identity crisis, this was it. The Swedish-built tanks were the weapons of choice of bank managers and vicars, for whom plodding around in a cocoon of sturdiness and reliability was the name of the game. And then along came Swiss tuning wizard Rudi Eggenberger and his box of racing tricks. The 2.1-litre turbocharged 240s were rocketships in a straight line and proved, unsurprisingly, to be bulletproof. The Italo-Swedish pairing of Gianfranco Brancatelli and Thomas Lindstrom saw off the challenge from the Schnitzer-run BMW 635s and TWR Rovers to win six times and secure the title. Volvos had never been as cool as this and probably won’t ever be again. Examples of these ’80s touring-car titans are sure to strut their stuff at the Festival and for those who saw them barging their way to the front on track in their heyday, it’ll be a reunion to remember. If you missed them in period, you’re in for a treat.